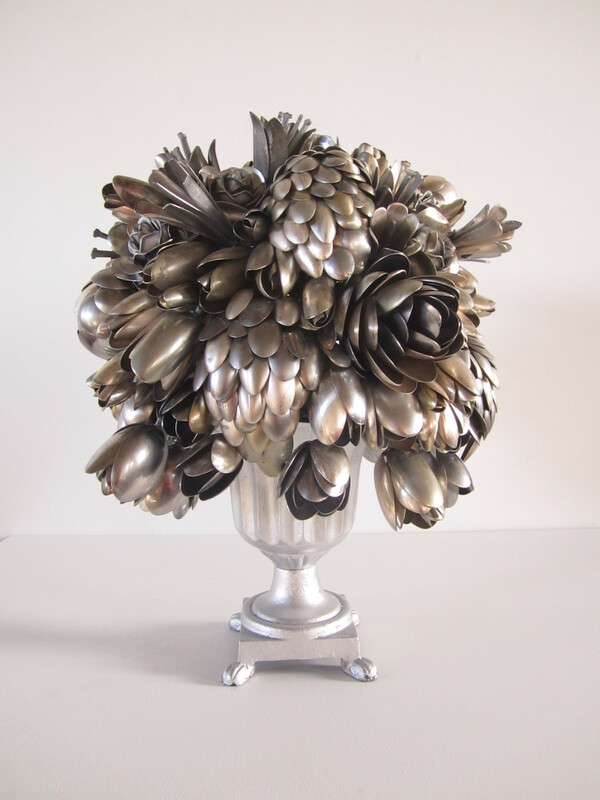 Ann Carrington produces sculpture that elevate objects used in the everyday, recontextualizing items as common as the household utensil. 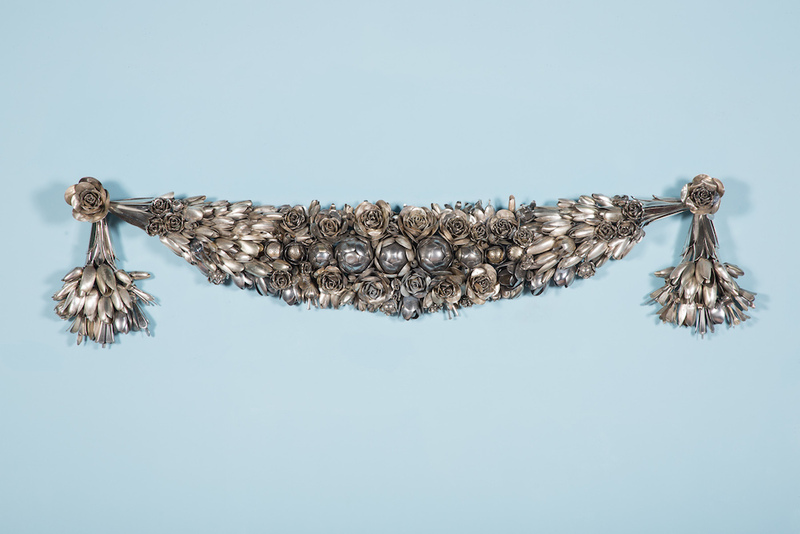 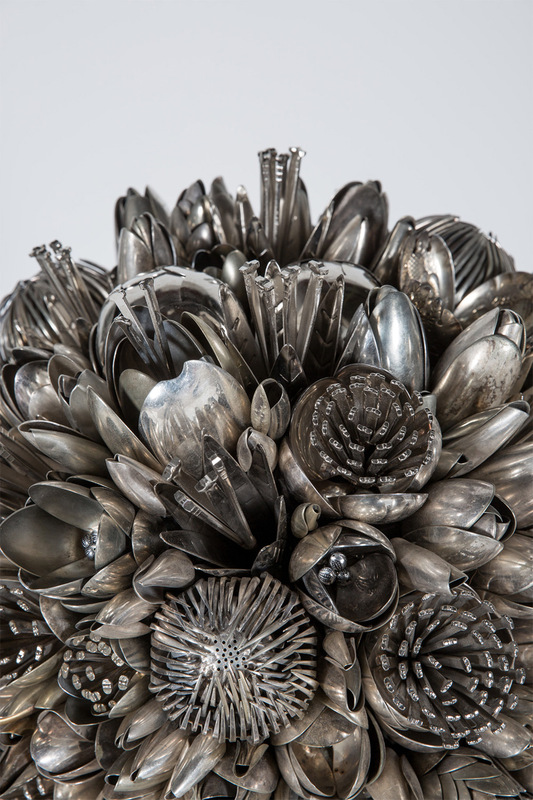 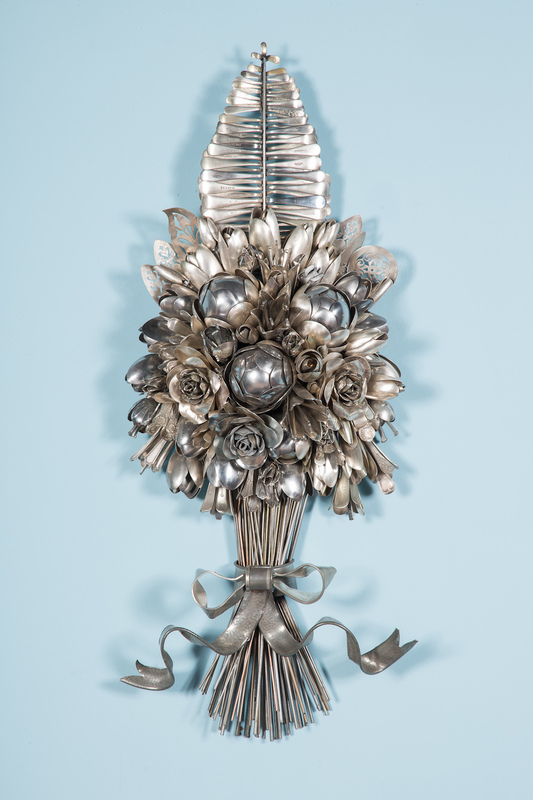 In her series Bouquets and Butterflies, Carrington gathers hundreds of spoons, knives, and forks both shiny and tarnished to create elegant bouquets. Clumping spoons together she is able to recreate the shapes of roses and tulips, some appearing so realistic you wonder if they are organic flowers dipped in a layer of silver. 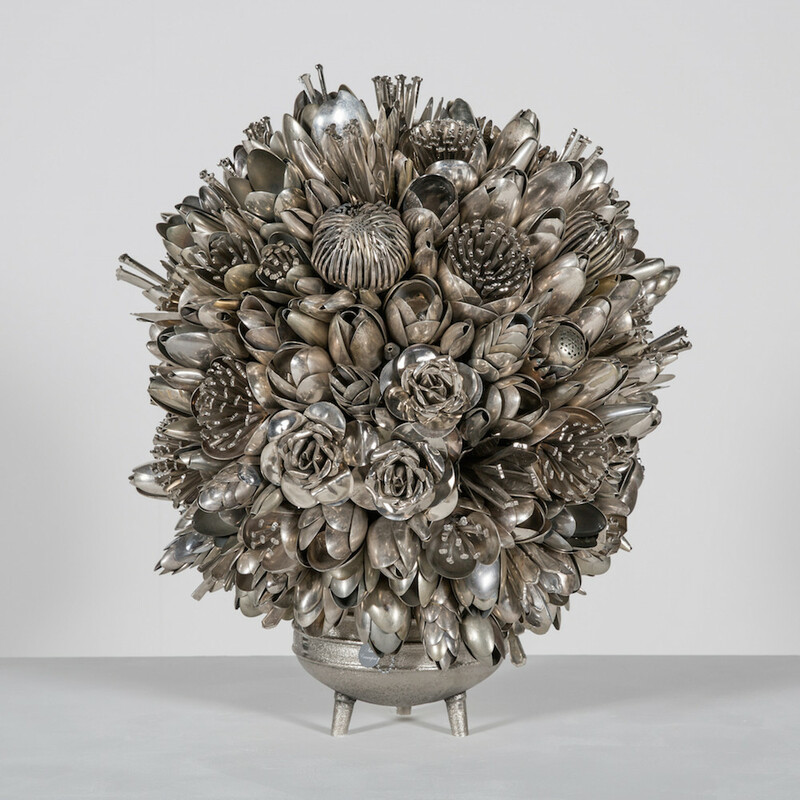 The sculptures were included in Carrington’s solo exhibition Pop goes the Weasel! 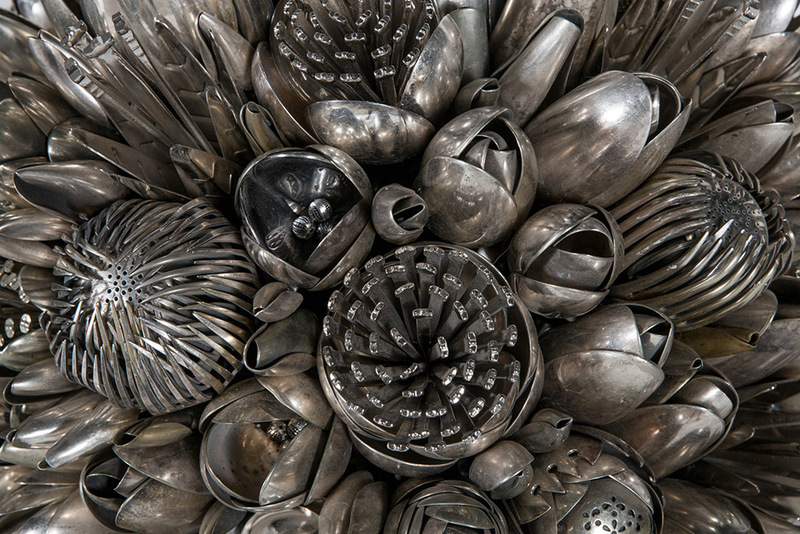 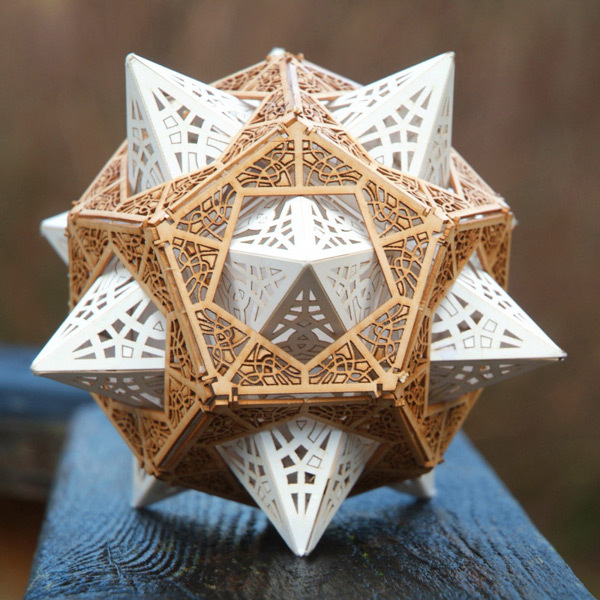 last summer at the Royal College of Art in London in addition to her ships formed from strings of pearls. 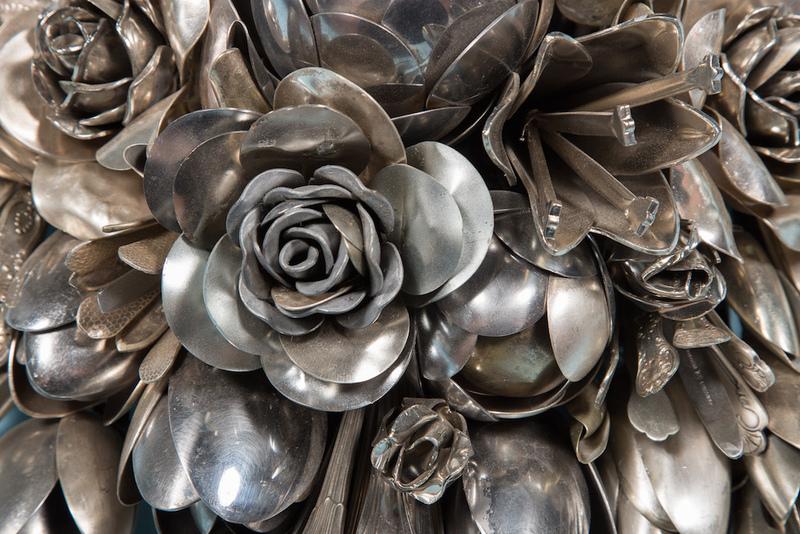 You can see more of Carrington’s work on her Facebook and Instagram.